With The 100 season four premiere only a month away, fans are eagar to watch it again. The writers of the post-apocalypic series are very tight vaulted when it comes to spoilers. I have them agree with them with that as that makes watching the show completely enjoyable for me. Back to the main focus. I just got the latest stuff about new cast member added in season four. Take a look. Darcy Laurie has appeared in Continuum and Arrow, along with Alycia Debnam-Carey in Fear the Walking Dead. Darcy will play a character by the mame of Tybe in the second episode, yet to be titled. It is uncertain of whether he is Skaikru or Grounder. It is possible though that he will be a member of Azgeda. Cole Vigue has credits in IZombie, Supernatural, and Legends of Tomorrow. On The 100, he will portray Hardy in episode 04×06. Jarett John is known for his work on Zoo and ProjectMC². The 6’4 actor will be Seiku, a recurring character, and will be seen in episodes 04×01 (Echoes), 04×04, 04×06, and 04×09. Judging by his name, Seiku will most likely be a Grounder. Michael Jonnson has been featured in Smallville, Supernatural, The Tomorrow People, and Psych. On The 100, he will be Esop, and he will be in episode 04×06. Melinda Michael had a role on the periodic drama, Reign, and another on Motives and Murders. Michael has also had commercial work in beauty products, and is also a model. She will be a woman by the name of Ankara. She will be seen in 04×09. At this time, there is no confimatation of what party she will be in. 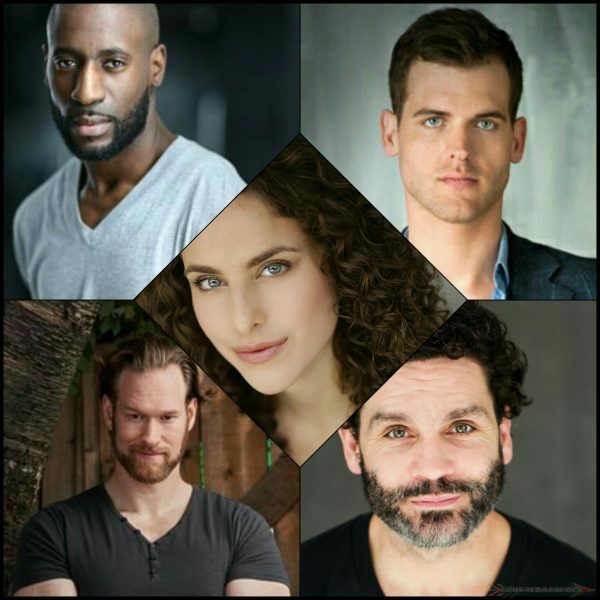 Other new cast members include: Will E. McDonald as Wilson, Matt Kennedy as Jacov, and Paul Lazenby as a Rockline (new clan?) warrior, though he has had parts as a reaper and sentry prior. The 100 will return February 1st on the CW at 9/8 CT, with Echoes.